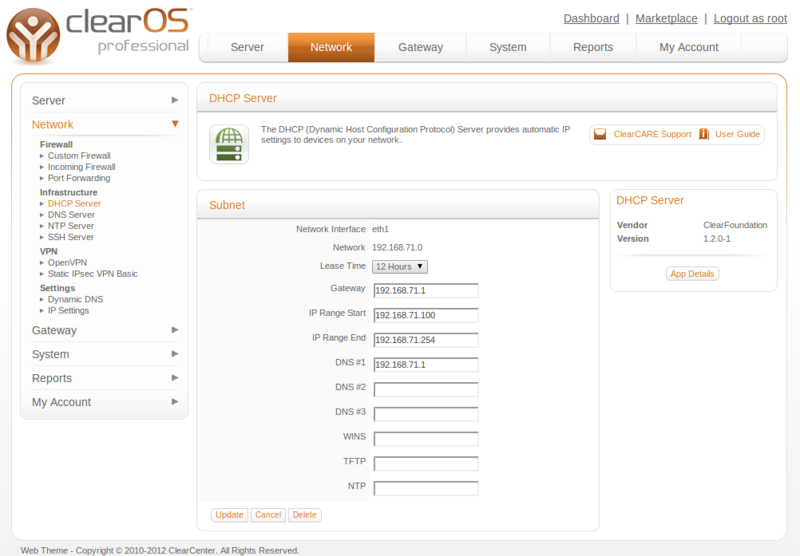 The DHCP (Dynamic Host Configuration Protocol) app provides automatic IP settings to devices (computers, smartphones, tablets, printers etc.) connecting to your network. If you are using this server to create a new network, replace an existing router or replace a server that currently provides DHCP service to your LAN, installing and configuring this app is recommended. 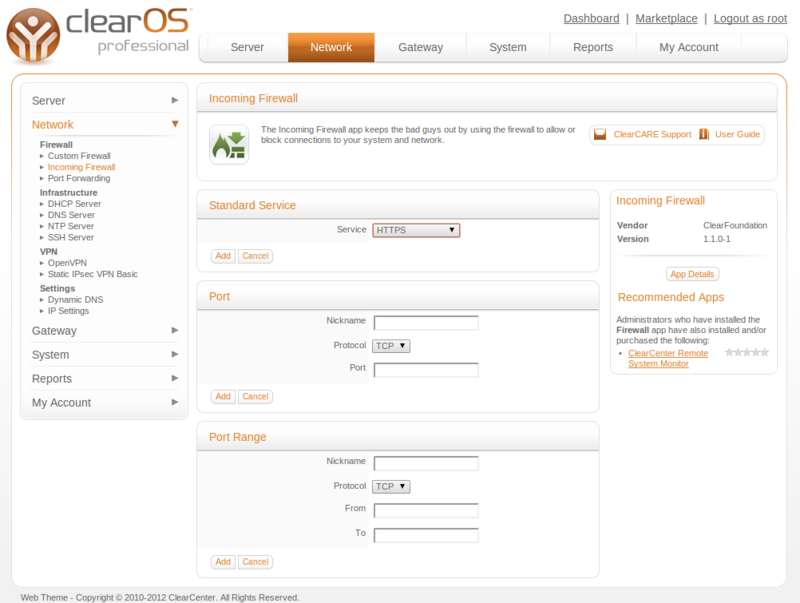 The Egress Firewall app enforces policy on traffic leaving your network. Two modes are available - allow all and blanket block. Allow all allows all outgoing traffic through, with the exception of rules you create based on destination port or hostname. Blanket block prevents all outgoing traffic from passing through the firewall unless specifically allowed.